Coaches come from wide range of backgrounds and experiences – community workers, recent graduates, teachers and teaching assistants, project managers, care workers, parents and former language learners from migrant communities. Planning and delivering language learning activities; working with their learners to identify their needs and goals; signposting learners to more advanced language learning. The health and safety of the learners while they are at the Club. This means making sure that any activity they carry out complies with the health and safety policy of the organisation hosting the Club. We use facilitation and coaching rather than formal teaching methods. Facilitation focuses on how people participate in the process of learning, not just on what is achieved. The facilitator’s role is to guide, not take the lead, and to draw out ideas and opinions without taking sides. Some learners who are used to more formal teaching methods may resist a facilitative approach at first because they expect someone to take charge of the group. Use praise to make learners feel positive about their contribution to the meeting. Why are facilitation skills so important? Good facilitation skills are essential to keep learners engaged and to help them become more confident. The more you know about how to facilitate an excellent Club session, the more your members will feel empowered to share their ideas and play an active part in the group. Check the environment – is the location comfortable, accessible and the right size for the group? Logistics – arrange chairs in a circle to encourage discussion, provide refreshments (if available), and check on any audio-visual equipment before the session. Do you have all the resources you need for the learning activities? Ground rules – encourage the group to develop their own ground rules, for example on allowing each other to speak and timekeeping. 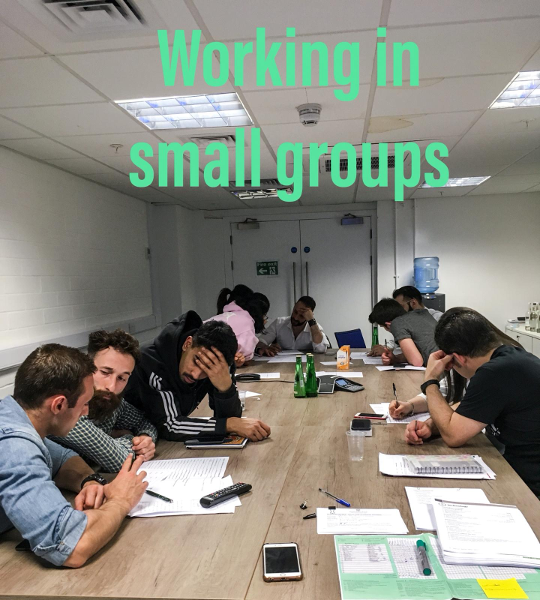 Be aware of the mood of the group If the group looks bored, is starting to shift in their seats, look restless or confused, speed up or slow down the pace of the session, or take a break. Be aware of your own body language Be careful that you’re not repeating yourself, saying “um” between words, or speaking too fast. Take a break if you feel nervous or feel like you are losing control. Walk around the room rather than stand in one position facing the group. Thank learners at the end of each session. There should be more learner talk than teacher talk! Don’t let more confident members of the group dominate. Give people time to think as they prepare to speak– don’t leap to fill uncomfortable silences. Discuss and compare the structure of different languages; point out that speakers of languages with alphabets eg Arabic, Bengali, Bulgarian face an additional challenge when learning a language with a Roman script. Highlight good and interesting use of language as it occurs so that everyone benefits.